In my day-to-day role as a Michigan driver’s license restoration lawyer, a very important part of what I do takes place at the first meeting with a new client. Normally, this meeting is scheduled for 3 hours, the primary goal of which is to make sure my client leaves the office fully prepared to go and get his or her substance abuse evaluation completed. 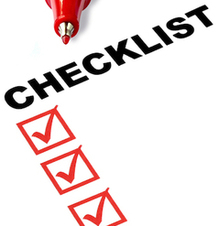 This specific preparation is so critical that I spend much of those 3 hours with every new client, filling out my own form, called a “substance abuse evaluation checklist.” I thereafter pack off the client with the checklist and various other documents (including a marked up copy of his or her driving record) to the evaluator. By sending my client out so completely prepared, and with documentary backup, I make sure the evaluation will come back accurate and complete. It’s this attention to detail that allows me to provide a guarantee to win every license appeal case I take. The inspiration for this article comes from a recent license reinstatement case I handled and (of course) won. During the hearing, my client was asked about his attendance at AA, because his evaluation indicated that he had gone for a couple of stints in years past. To my surprise, he answered that he still attends meetings from time to time. Normally, this is a good thing, but the hearing officer looked at the evaluation, which did not list any current AA attendance, and then fired off a few questions about his interview with the evaluator, including this one: “What else didn’t you tell her?” All is well that ends well, and although he had been a bit unclear with the evaluator about his occasional drop-ins to AA, the fact that my client left out a good thing (12 step support) produced and outcome much different than if the hearing officer would have discovered that something negative had been omitted from or glossed over in his evaluation. My substance abuse evaluation checklist is, as much as anything, a compendium of and protection from all the ways one can lose a license appeal case. It pretty much provides a line-by-line detailed backup, or redundancy, for everything that must be listed on evaluation form published and required by the Michigan Secretary of State’s Administrative Hearing Section (AHS). A person will have to tell the evaluator all about his or her AA attendance, and that’s part of what we go over when I prep him or her. In the case at issue here, my client explained that since he didn’t go with any regularity, he didn’t want to make it seem to the evaluator that he frequented AA meetings on any kind of schedule. He should have been clear(er) about that, and not saying anything was a mistake. While I cannot explain the miscommunication here, it is important to note that my checklist method leaves no room for a critical omission of the kind information one would consider negative, or that could otherwise derail a case. As it turns out, this was the first time I had represented this particular out-of-state client, although he did have different lawyers for each of his 2 prior unsuccessful appeals. I ‘d like to believe that with my help, the third time was the charm. I have often pointed out that there are no shortcuts to doing a license restoration the right way. I charge a decent fee for my services, but those services involve a lot more than just giving my client some instructions about the documents and keeping him or her company at the hearing. As I have also observed, nothing makes me cringe more than sitting in the waiting room at the Secretary of State’s hearing office and watching some lawyer show up, greet his or her client, and then want to “go over” a few things. My “preps,” which I consider a rather big deal, are done before the hearing date so that when I join my client in the waiting room, we are fully prepared and ready to go. Instead of having to review anything, we can sit and relax and talk about the weather. Yet this fastidious approach of mine begins even before I meet with a new client, and extends all the way to who will become my client. For everything involved in a license clearance or restoration appeal, the “meat and potatoes” of it comes down to proving that you’ve really quit drinking and are a safe bet to never drink again. Ever. Accordingly, I begin the process by only taking cases for people who are genuinely sober. We’ll talk about this in our first phone conversation. We’ve had countless clients tell us that they spent more quality time on the phone with me, my senior legal assistant or my paralegal, even before the first appointment was scheduled, than they spent with a prior lawyer in the whole case. As much as anyone should screen the lawyer he or she will hire, a sharp lawyer will screen a potential client to make sure he or she has the foundation upon which to build a winning case. I guarantee to win every case I take, so for me, it’s not about just getting the money. And as far as that goes, you don’t have to be a financial whiz to figure out that I make my money winning these cases the first time around. For me to sign up someone who has questionable chances essentially doubles my work and cuts my income in half. No, thanks. As with just about everything that can be made, if you start out with quality components or ingredients, as I do with quality clients, then you start out with a better chance of success. There is a lot to go over at my first meeting with a new license client. For all the detail I have to collect and organize, it is equally important that I capture my client’s recovery story. In fact, the theme of how a person gets sober and why he or she chooses to stay sober really overrides the minutia sought in the state’s substance abuse evaluation form. This is a key thing for me, because for everything that goes into and on that form, it is the story behind it that really matters. Imagine that Jane the driver has been sober for 4 years, attended AA by court order for her first year of probation, and completed over 2 years of individual counseling. If that sounds good, think of why Jane became sober. After her last DUI, the Judge gave her 15 days in jail, and she missed her own mother’s (or boyfriend’s or husband’s or sister’s or whoever’s) birthday party because she was locked up. Sitting in that cell, she had time to reflect on how alcohol was the common denominator of all the trouble in her life, and she realized that every attempt to control, limit or otherwise manage her drinking had failed, and that the best she’d been able to do was get in trouble all over again. It was a painful epiphany for her, but she came out knowing that she could never drink again. In the meantime, she has reconnected with her family and her real friends and has more fun than ever on the weekends. She’s a better employee, daughter, partner, parent; you name it, she’s a better everything. Most of all, she describes her life as genuinely “better,” as well. Anything worth doing is always worth doing right, especially when it comes to winning back your driver’s license. The real cost of losing your appeal isn’t money (and when I’m the lawyer, that is simply a non-issue because of my guarantee), it is the inability to drive for another year, and the need to fix whatever was screwed up that caused you to lose in the first place. Doing this right means doing it right from the very beginning. When you’re ready to get back on the road, do your homework. Spend time reading what other lawyers have written, and then call around. Whether your case involves clearing a Michigan hold on your driving record or winning back your Michigan license, make sure you call my office, as well. We’re here to help, Monday through Friday, from 8:30 a.m. to 5:00 p.m. (EST), and can be reached at 586-465-1980.